Old Leamingtonians are preparing for the club's annual festival. Three Wasps players will help celebrate the tenth anniversary of a growing annual rugby festival at Old Leamingtonians. OLs are welcoming around 1,000 children to the club’s Mini Festival at The Crofts on Sunday October 7 (9am-2pm). 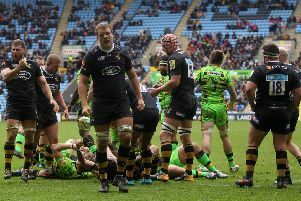 The day will see Old Leamingtonians welcome ten Midlands-based teams from under-7s to under-12s to compete in a series of matches with Wasps’ Jimmy Gopperth, Alex Rieder and Antonio TJ Harris pencilled in to attend and pass on advice to youngsters and chat with parents. Lucas Wager is the chairman of Old Leamingtonians’ mini and junior section, which has around 400 players registered from under-sixes to under-16s. He said: “Our Mini Festival has gone from strength to strength over the years and this year’s is set to be our biggest to date. 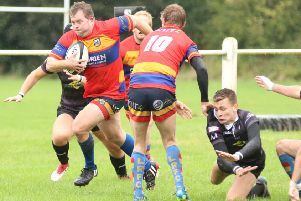 “The event is really important to Old Leamingtonians and grassroots rugby in the town, as all funds that are generated from the day go straight back into the club to help us develop our mini and junior section - whether that is putting on sessions or purchasing new equipment. “We have one of the strongest mini and junior sections in the region and have also recently started a girls’ team that now has 30 players aged 11 to 16, which is testament to the fantastic ongoing fundraising efforts and dedicated volunteers we have at the club. Other activities on the day range from bouncy castles to sumo-wrestling challenges.